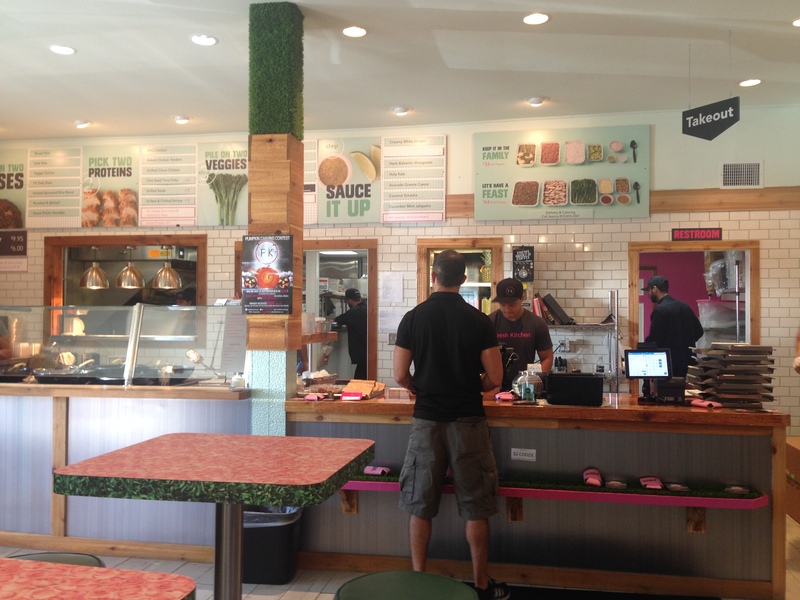 The Ciccio Restaurant Group in Tampa has come up with yet another home run restaurant idea. 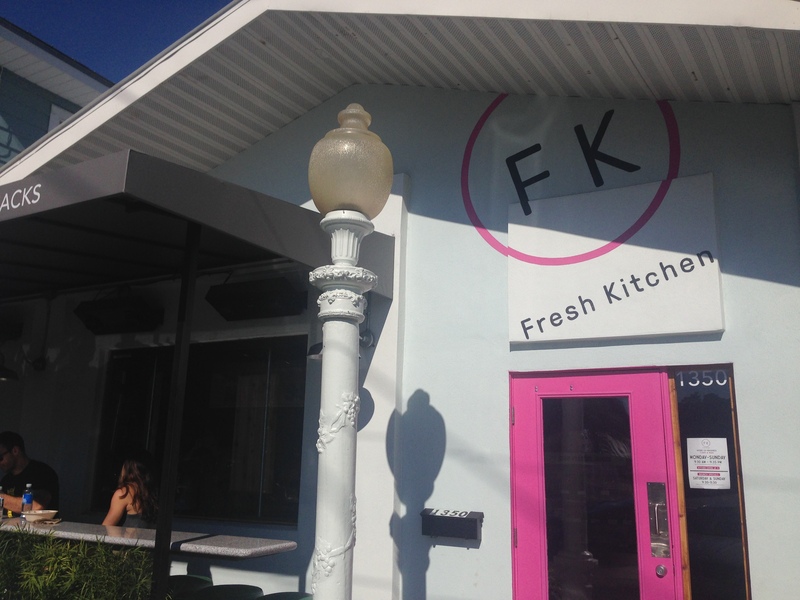 Fresh Kitchen, nicknamed FK, offers cold-pressed juices, gluten and dairy free entrees and delicious yet healthy take away snacks and desserts. 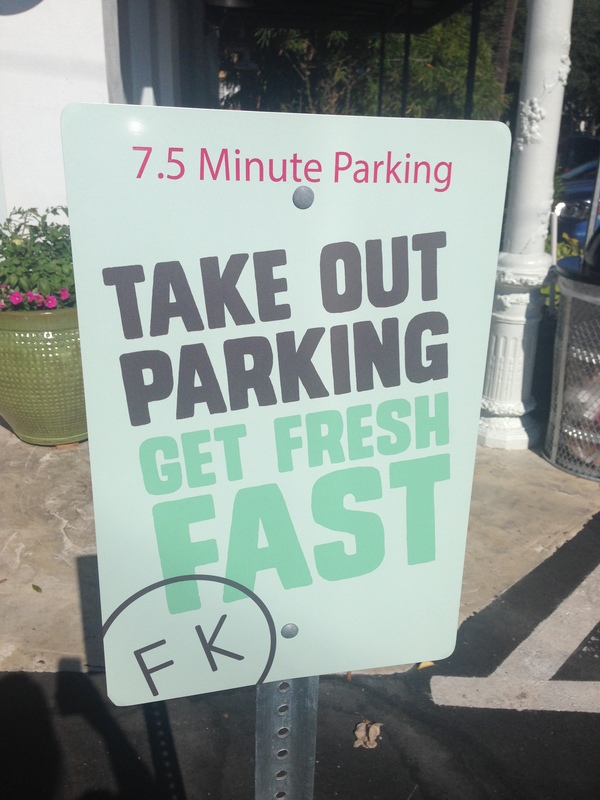 Even the parking, hours, and decor are fresh. 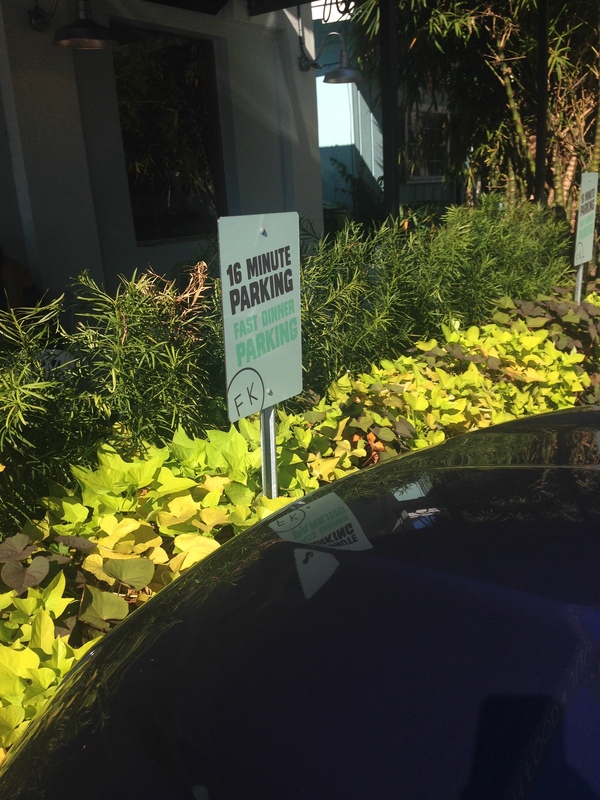 You can park for either 7.5 minutes or 16 minutes, a new way to encourage a quick visit. They close at 9:35 PM, which seems to make it a little more memorable, instead of the usual on the hour times. 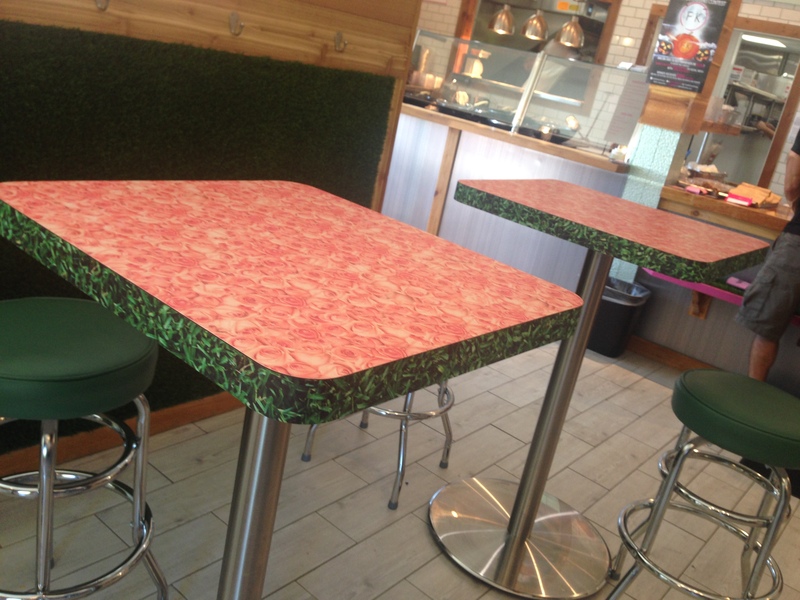 And the tables are so gorgeous, allowing you to eat on dozens of pink roses, surrounded by greenery. I had the the pleasure of sampling lots of different options, thanks to Never Have I Ever Tampa Bay. 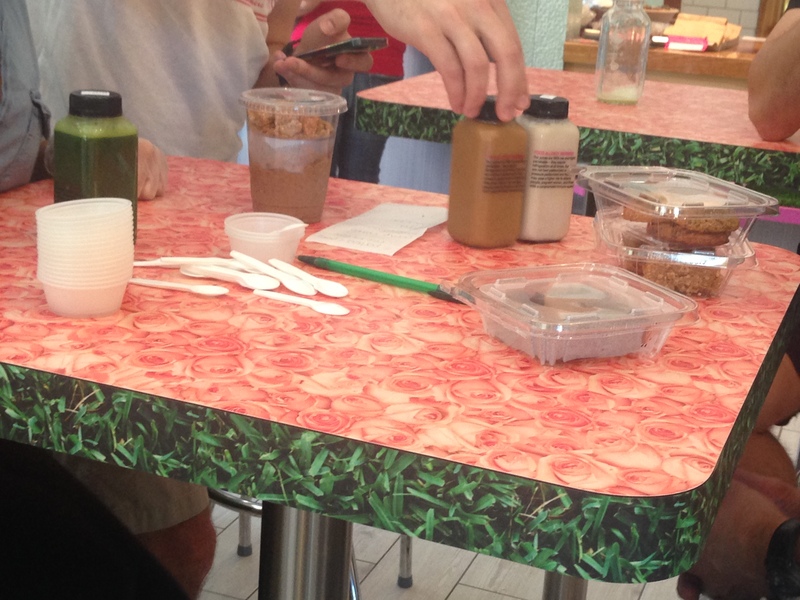 We started with the cold-pressed juices, tried some snacks and desserts, then made our own bowls. I must first admit that I was a little skeptical. 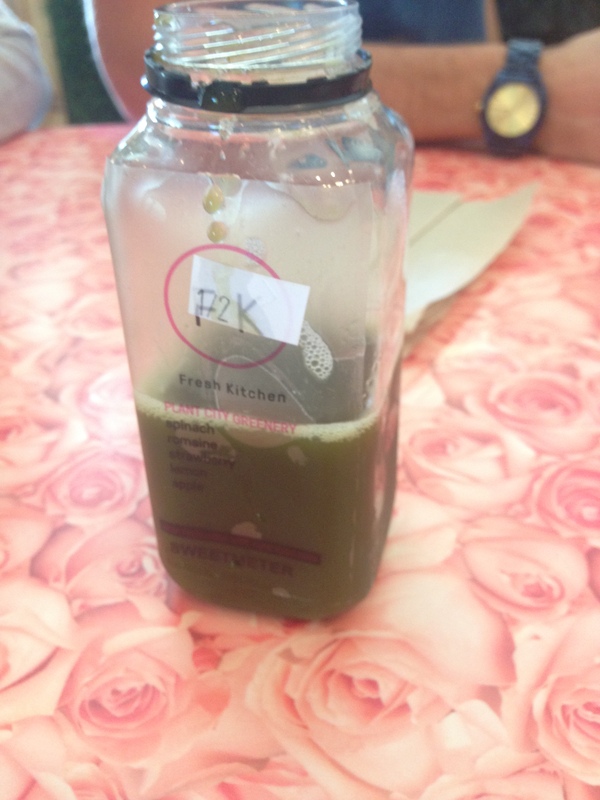 I barely like the juices I press at home, let alone fancy, healthy, $10 a bottle juices. But I was pleasantly surprised. 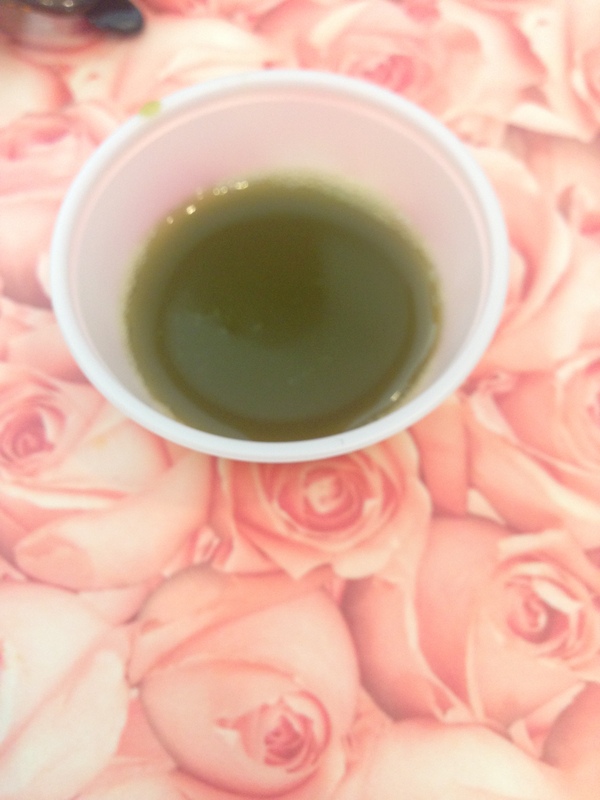 The green juices had the “I feel like I’m eating grass” undertones but finished off with a nice surprise flavor at the end. The Plant City Greenery ended with a nice, sweet strawberry flavor. This one had hints of jalapeno that punched you in throat, but in a good way. I love anything spicy! 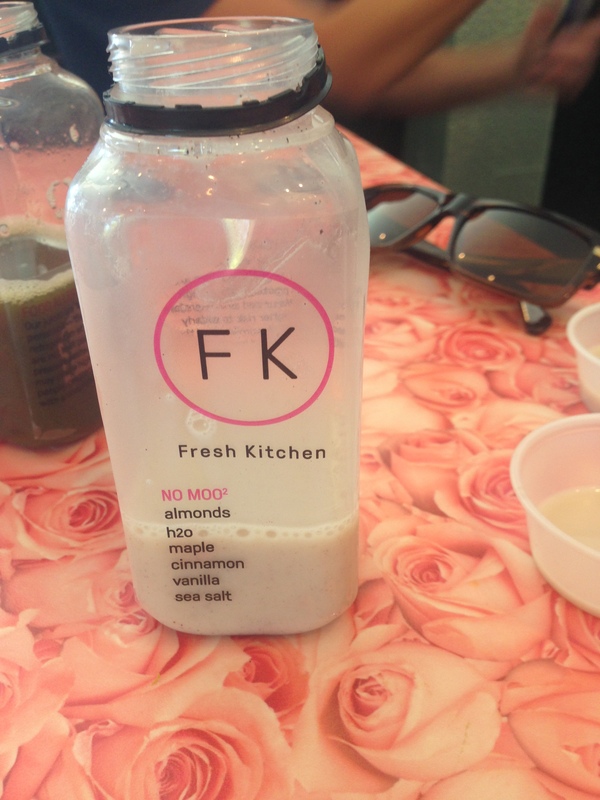 The almond milk was super delicious. But at $10 a bottle, I’ll probably stick to half gallons at Trader Joe’s. The last beverage we tried before moving on to snacks and desserts was pumpkin spice. It was oh so good. Not to sweet, not too much pumpkin, not too much spice, and waaaaaaay healthier than Starbucks lattes. 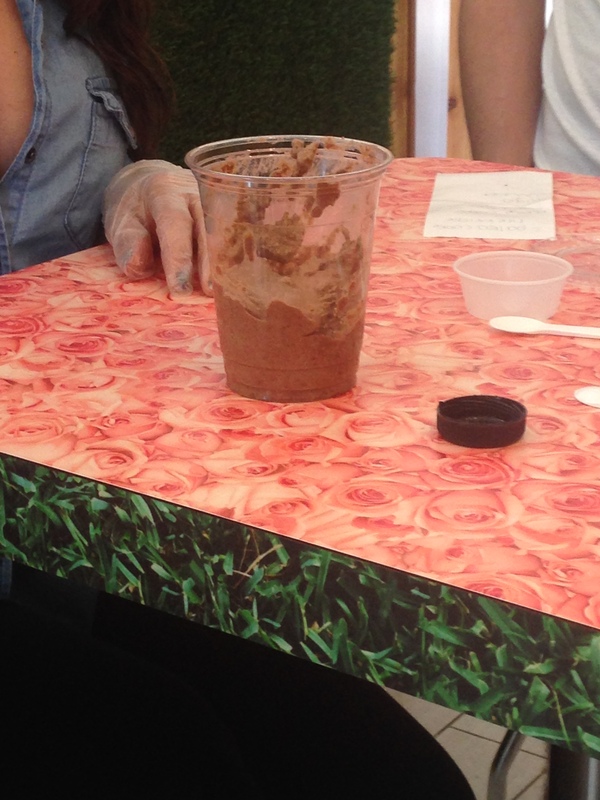 We tried a chia seed pudding that was… different. It took a few bites to get used to the consistency of it, but ended up being ok. Definitely a healthy alternative to chocolate pudding. Tasted much better than it looks. Next up were the desserts. We tried a peanut butter rice crispy that was super amazing. I will for sure return just for that, even if I didn’t like anything else. We also had a healthy zucchini brownie that was delish and gluten free cookies that were so soft I could have eaten ten of them. You couldn’t tell they were gluten free. The desserts were so good that I forgot to take photos of them. Oops. Guess I’ll just have to go back and have more. 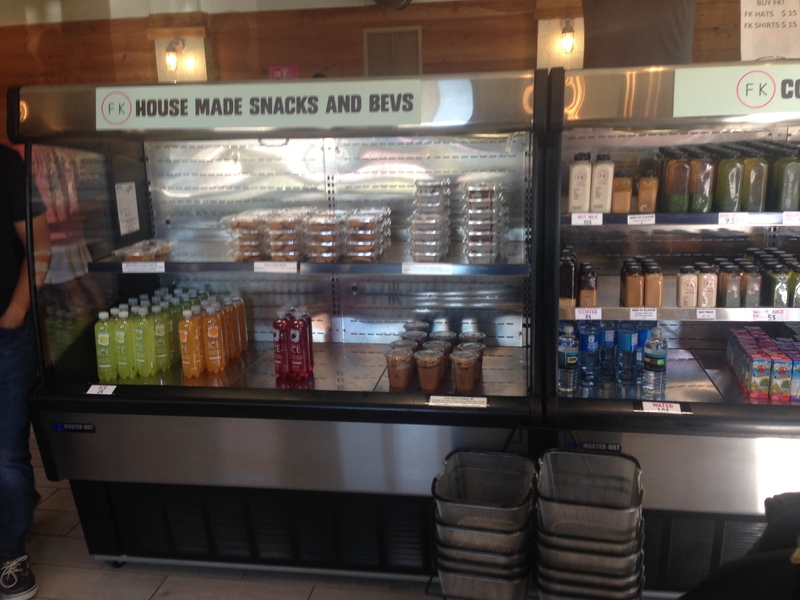 Grab and go snacks, desserts, and juices. We headed up to the counter to order lunch. 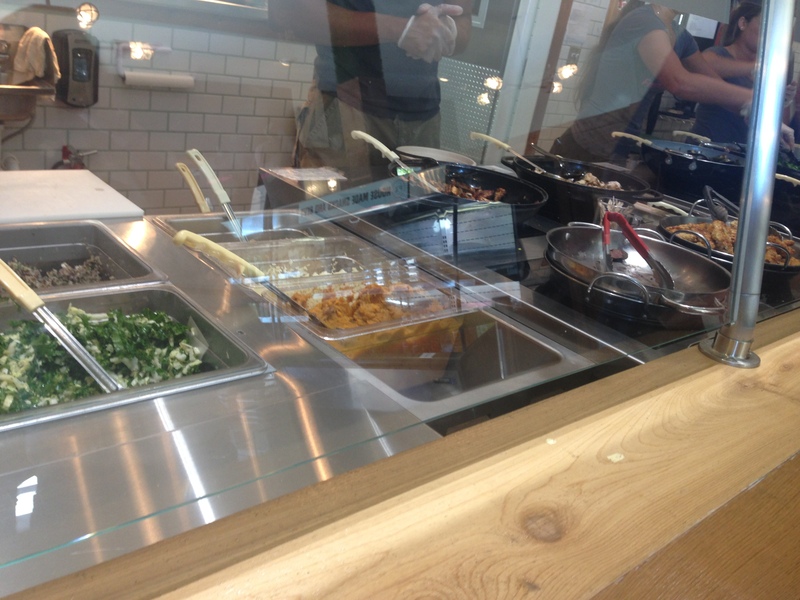 It’s a Subway-style ordering system, where you pick the things you want and move down the line. The difference is that it’s all healthy, fresh food. You pick two bases, two proteins, two veggies, and a sauce and they make your bowl right there. 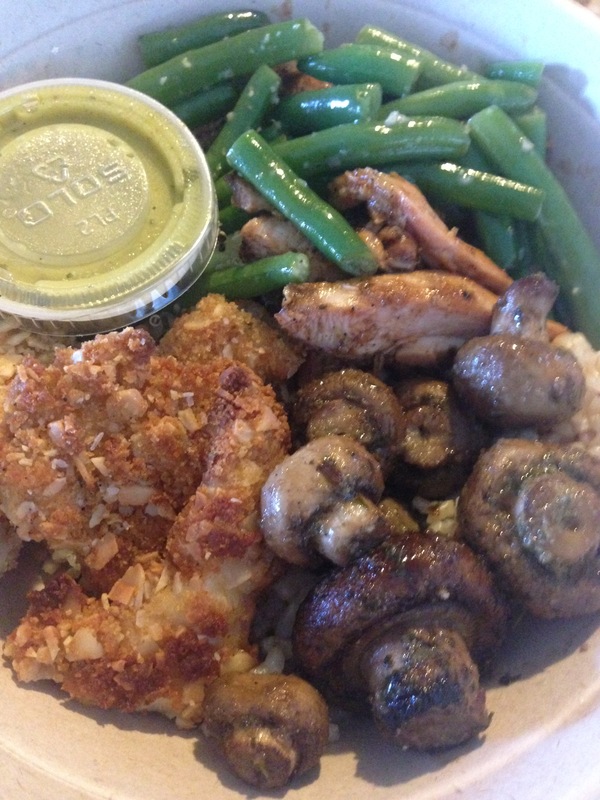 I had the quinoa and brown rice as my bases, the BBQ chicken and chicken fingers as my protein, green beans and mushrooms as my veggie and a cucumber mint jalapeno sauce. Oh my soul. Amazing. Flavorful. Healthy. Even my super picky Husband liked the chicken (he wouldn’t even try anything else in the bowl, that’s how selective his taste buds are). The mushrooms were my favorite part. They were cooked to perfection. All the gorgeous, fit, spandex clad patrons in FK inspired me to go home and put on my workout clothes. Maybe next time I’ll be inspired enough to actually run!